Father of the Year is the second novel by Glenn Puit , who happens to be aptly penned as the "King of True Crime", a well-deserved title. 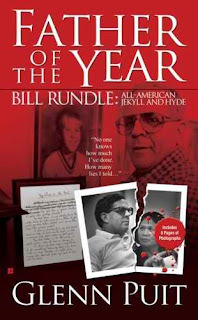 Father of the Year tells the story of Bill Rundle, a con man who murdered his wife and discarded her corpse on the side of the road. Rundle also killed his mother in addition to multiple other sick and heinous crimes. Rundle once won the Father of the Year award after his son praised him in a school assignment but ironically, this same Las Vegas resident became more infamous after his ugly side was revealed to the public. However, Glenn Puit leaves us curious and rapt throughout the entirety of the novel, building up to the crimes, which is great! This is perfect for readers like myself who buy books based on the author and not the title or the synopsis. I'm definitely reading more of Puit's work in the future regardless of what the book is about, and this is a sign meaning you've got a good author on your hands. Lastly, Puit has an admirable blunt, no-nonsense style when describing his killers. Some authors will take the serious, politically-correct approach and just state facts without becoming emotional or opinionated, which oftentimes reads like a stiff newspaper. 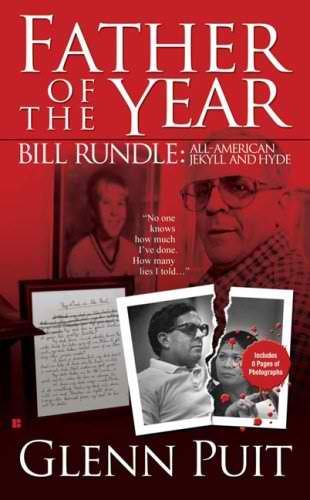 Puit's hatred for Rundle is apparent throughout his writing and why shouldn't it be? Who cares? Rundle is a scumbag and everything Puit says is easy to agree with. In addition to Father of the Year , I also recommend reading Witch (2005). Puit's newest book is Ghost , released January 2011.